We are glad to introduce La Diva Hotels and Events Centre, Asaba. Our hotel is a haven of comfort and true hospitality which is just fifteen minutes’ drive from the Asaba Airport. Our new dimension of luxury Hotel & Suites concept gives you the luxury of an international standard hotel with the freedom and space of home, by offering you the flexibility of choosing individual guest rooms or a suite. You can be sure of receiving the very best standard of comfort in our serene and peaceful environment. 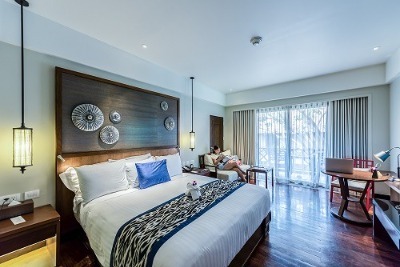 Residentially inspired with a touch of contemporary sophistication, this styled hotel welcomes guests with tailored amenities, exemplary services and an experience which embraces the individuality of each guest. Each of the 22 guest rooms and suites welcome guests with a warm colour palette enriched by deep textured finishes and plush fabrics. In addition, all guest rooms feature an abundance of tech-savvy amenities, including 32-inch plasma flat screen televisions, safety deposit box, and complimentary wired and wireless high-speed internet access. La Diva Hotels guest rooms and suites has a good view of her surroundings, offers a unique banqueting and conference sittings, featuring the latest technology and high-speed wired and wireless internet connections. La Diva Hotels boasts of a large parking lot. Our flexible meeting rooms offer a wealth of possibilities from small business meetings to group meetings, seminars and events. La Diva Hotels is a budget hotel in Asaba, Delta. Have nice pictures of La Diva Hotels?